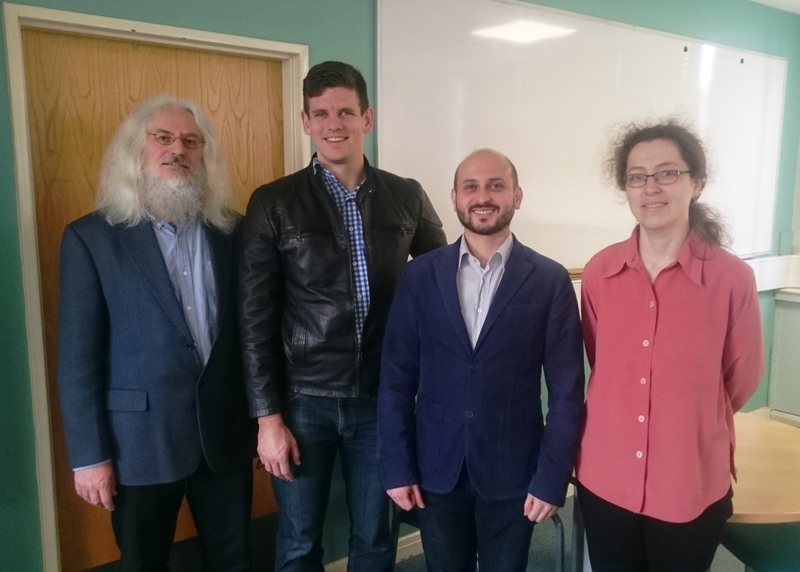 A meeting of the North British Functional Analysis Seminar took place at the School of Mathematics, University of Birmingham, Lecture Theatre C on Friday 10th and Saturday 11th March 2017. Friday 10th March, 3 p.m. to 4 p.m. and 4.30 p.m. to 5.30 p.m. The organizers (L and R) and speakers (centre). Click image to enlarge.